California Assembly Bill 495 establishes the California Community Investment Initiative as a statewide effort to use market forces and profitable private investment, partnered with coordinated state and local resources and programs, to create jobs and revitalize low-income communities. California needs this initiative, because it will help reduce poverty, encourage economic development in low-income neighborhoods, and benefit the economy as a whole . Silicon Valley is leading the nation in the economic recovery and California has the largest state economy in the U.S. and the eighth largest in the world. Yet, according to the new U.S. Census Bureau’s definition of poverty that takes cost of living into consideration, California has the highest poverty rate of any state in the nation, with nearly a quarter of its population living below the poverty line. None the less, surprisingly, many of the neighborhoods with high poverty rates are, in fact, ‘domestic emerging markets’ with higher purchasing power per acre than much more affluent suburbs, because these low-income neighborhoods have much higher population density. In addition, many of these neighborhoods are at transit hubs and/or have the transit and mixed-use characteristics in place to make development in them more climate-friendly than development elsewhere. This is particularly significant at the time that AB 32 and SB 375 are requiring that business and real estate development adopt a much more climate-friendly orientation. Unfortunately, market prejudice, combined with transaction complexity and a variety of economic and social problems have tended to restrict private investment in these low-income neighborhoods. Job and wealth creation for current residents. Mixed-use, mixed-income, transit-oriented, climate-friendly real estate developments. An increased local and state tax base. Led by the Bay Area Family of Funds and Genesis L.A. during the last 14 years, many of these funds have produced top quartile financial performance combined with significant economic development, affordable housing, and wealth creation for the residents of low-income neighborhoods in California. These special purpose investment funds have grown into their own asset class, with over $78 billion in assets nationally. A number of states across the country are undertaking initiatives to encourage their coordination and growth. California should not miss out on this opportunity. 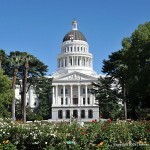 To address this situation, Assembly Speaker Pro Tempore, Nora Campos, in collaboration with the California Emerging Technology Fund, has introduced AB 495 to create the California Community Investment Initiative (CCII). CCII is designed to coordinate and marshal all of the existing state financial and programmatic incentives, in collaboration with local programs and assistance, to help low income communities to become investment-ready. At the same time, CCII will assist private sector triple bottom line investment funds to identify and make investments in at least $1 Billion of profitable deals in businesses and real estate developments that benefit these low-income communities by producing job creation and community economic development without displacement. CCII will establish a California Community Investment Council made up of appointees by the Governor and the legislature, combined with the heads of the relevant state agencies. CCII will be managed by Governor’s office of Governor’s Office of Business and Economic Development (GO-Biz), giving GO-Biz the tools it needs to help enable triple bottom line investment funds to make sound investments in California communities with high levels of poverty. Once CCII is in place, California can look forward to losing the distinction of being the state with the highest poverty rate in the U.S which will benefit every Californian. To find out more information about the California Community Investment Initiative and to help secure it’s passage, contact James Nixon, Lead Consultant to the California Emerging Technology Fund for CCII at jameshurdnixon@gmail.com or 510-377-7224.